Well, it’s time to get caught up on a post I’ve been wanting to get out for a little while now. You see, I’m a history buff. I just can’t get enough of it, and our travels really allow me to go to places where things have happened. 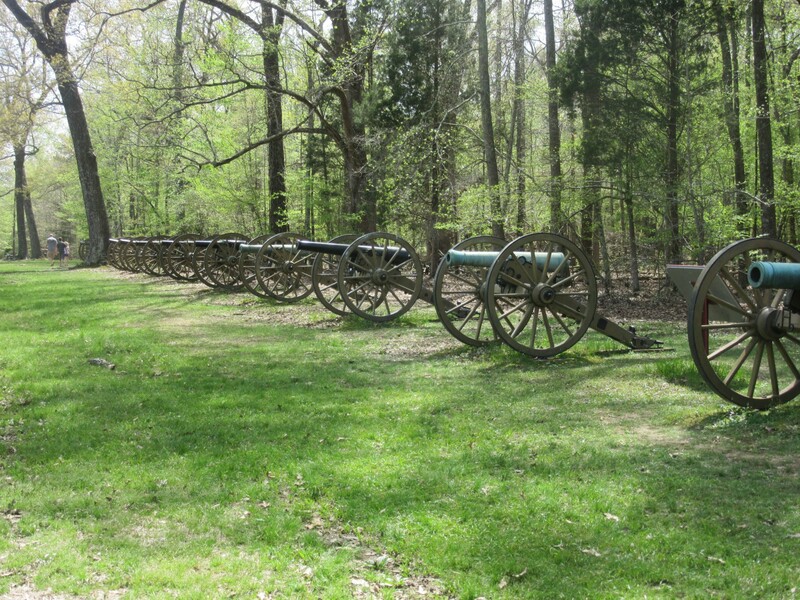 A couple of weeks ago, Angela and I went to the Shiloh Battlefield. It’s about 10 miles from our campsite. This was one of the bloodiest battles ever. In two days of fighting more Americans lost their lives than in all of the wars up to that day combined. The number of men dead, wounded, or unaccounted for numbered half of those lost in the eight years of fighting in Vietnam. This was the battle that seemingly turned the tide of the war. Had it gone the other way, and it very well could have, our national anthem today may be “Dixie”. I will try to give a brief synopsis of the battle here, but if you have the chance to go to this place, please do. It has a 45-minute movie telling of all the significant details of the battle. and while visiting the battlefield, there is a 13-mile long map to follow. 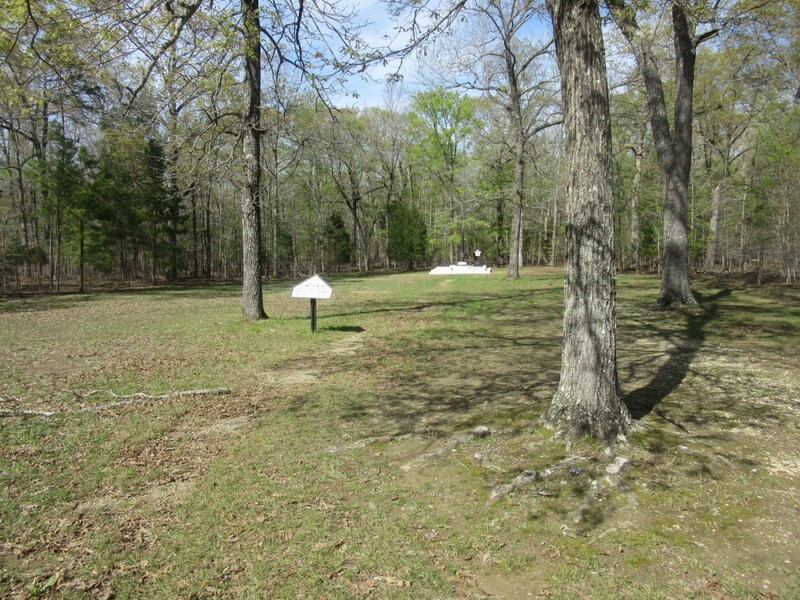 The battlefield is huge; the cannon and monuments around identifying where things happened are numerous. My little synopsis will not do the entirety justice. Major players – North: Grant and Sherman, South: Johnston and Beauregard. Grant was tasked to destroy the railroad at Corinth, MS (where I work) because it was the only rail line that moved supplies from the west to the east. Destroying this rail line would strangle supply lines for the South. 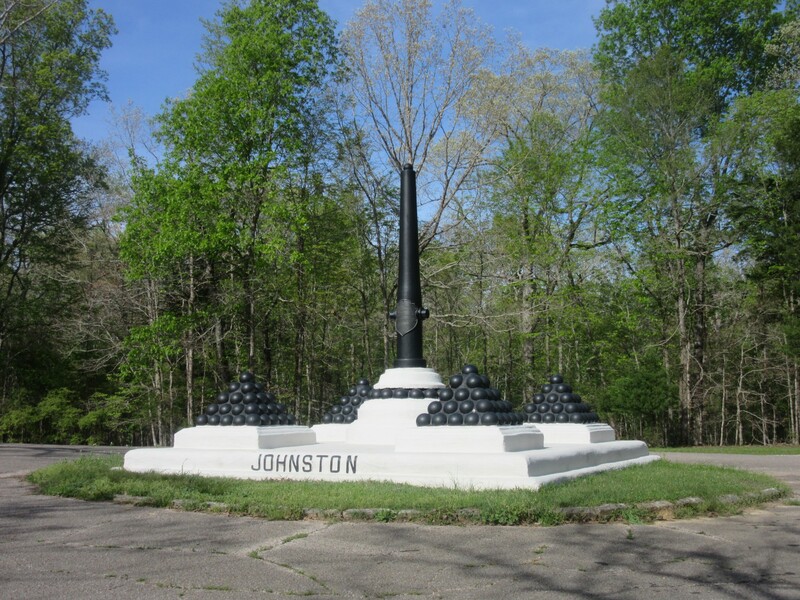 Johnston knew this and moved troops north to intercept. They were so quiet that even though they were within 2 miles of the northern lines, no one knew they were there. But because of rain, moving all the troops and gear took three days instead of the expected one. One night one of the northern officers got a funny feeling and sent 250 men south to see if any southerners were anywhere close. Within a mile, they came to Fraley Field, and the battle was on. From here the Rebels turned the Union back. The Union camps were alerted by the gunfire but were not ready for the Rebels to be that close. The rebels destroyed the Union camp as they moved forward. 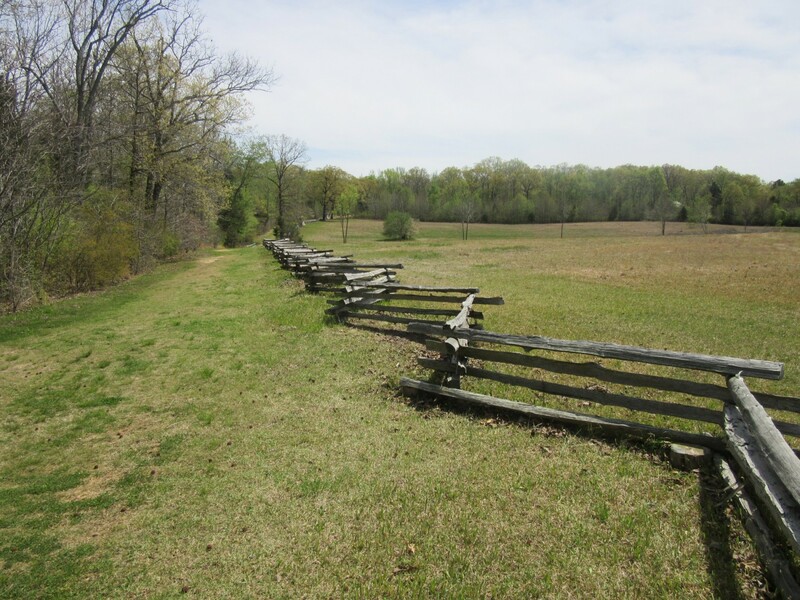 The North took a stand in a wooded area past a field called “The Hornet’s Nest.” It was called this by the South because anyone who tried to cross the field heard what sounded like angry hornets (bullets) flying by. The South tried 12 times to cross the field without success, then a General named Ruggles said “homie don’t play dat”. He brought in 62 cannon and set them on the opposite side of the battlefield, and for an hour he took a baseball bat to the hornet’s nest. Eventually, the South surrounded them; 4,000 went in 2,100 were taken prisoner. 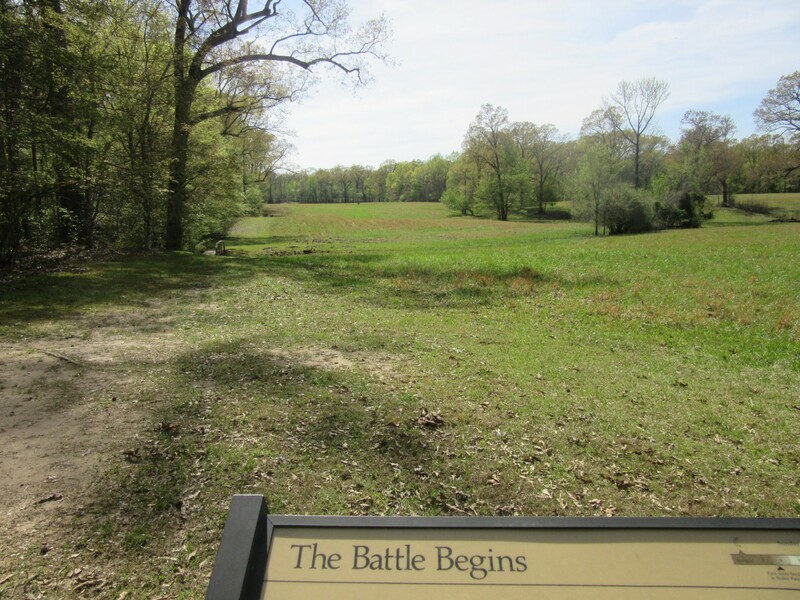 The South continued on, and at one point, General Johnston was shot and died on the battlefield. At the end of the day, losses on both sides were tremendous, but the South seemed sure to win the battle, and Beauregard sent a telegram to Jefferson Davis to that effect. The next day, however, the North got reinforcement from General Buell. These fresh men provided the needed power to turn the tide. The southerners were confused because one of their leaders was gone and now Union soldiers are popping up everywhere. In the end, the South retreated to Corinth. 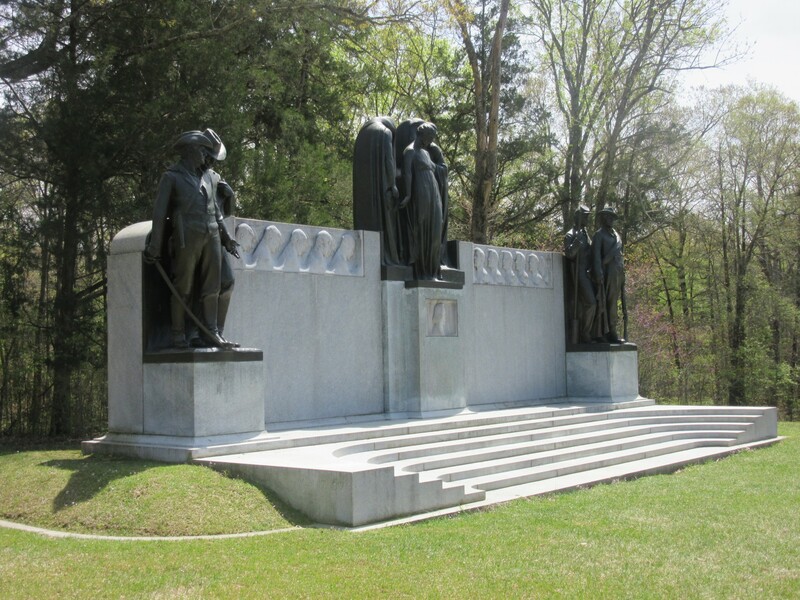 This is the Shiloh National Cemetery where the Northern Soldiers were buried. 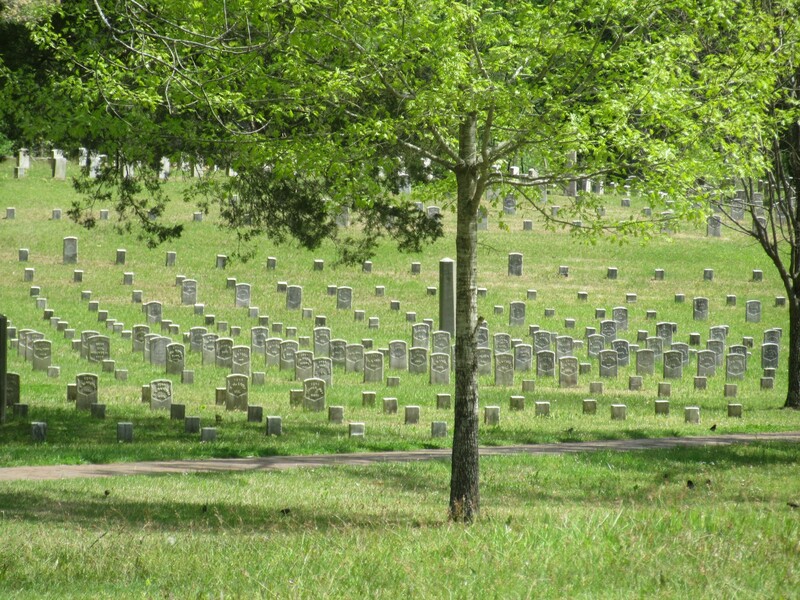 The Southern Soldiers were buried in five mass graves around the battlefield. Angela said that’s how it was done back then, but for someone fighting for a united America, a mass grave for one side just doesn’t make sense to me. This statue pretty much says it all. It is called the “Sad Victory.” For the South, they won the first day, but due to Union reinforcements, lost the second. The North lost the first day, but won the battle. Had Rebel troops not lost two days unexpectedly due to travel in inclement weather, Union reinforcements may have arrived after the battle had been fought and most likely won by the South. Had Johnston not died on that first day, it may have been a completely different outcome. Many men were lost in those two days of battle. I have a Great, Great, Great Uncle who was there; I can’t imagine what he went through. I visit memorials a lot and try to think what it was like for the folks that were there. Any time I see a war memorial, I will remember this monument because of those that had to die to make us free. It is always a sad victory. 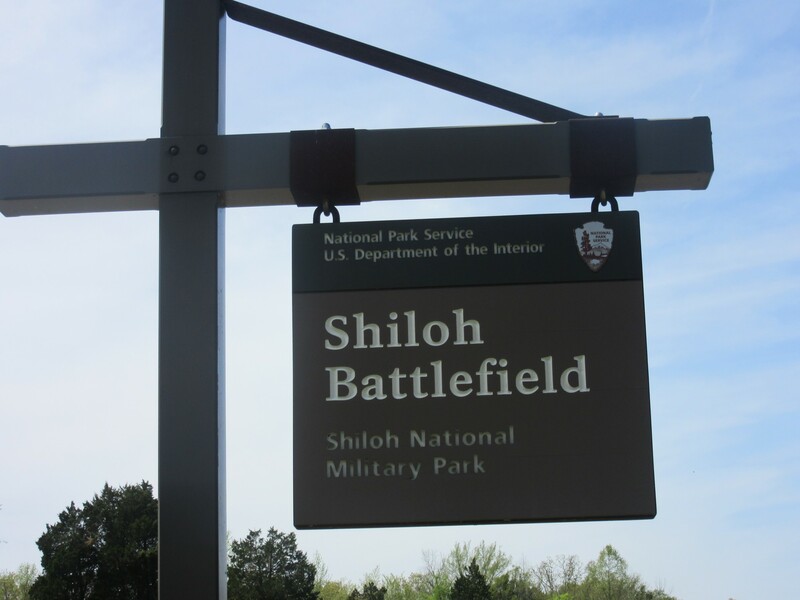 Remember Shiloh and visit if you get a chance. I’m a history biff too but haven’t been to Shiloh. I was astounded by Gettysburg.